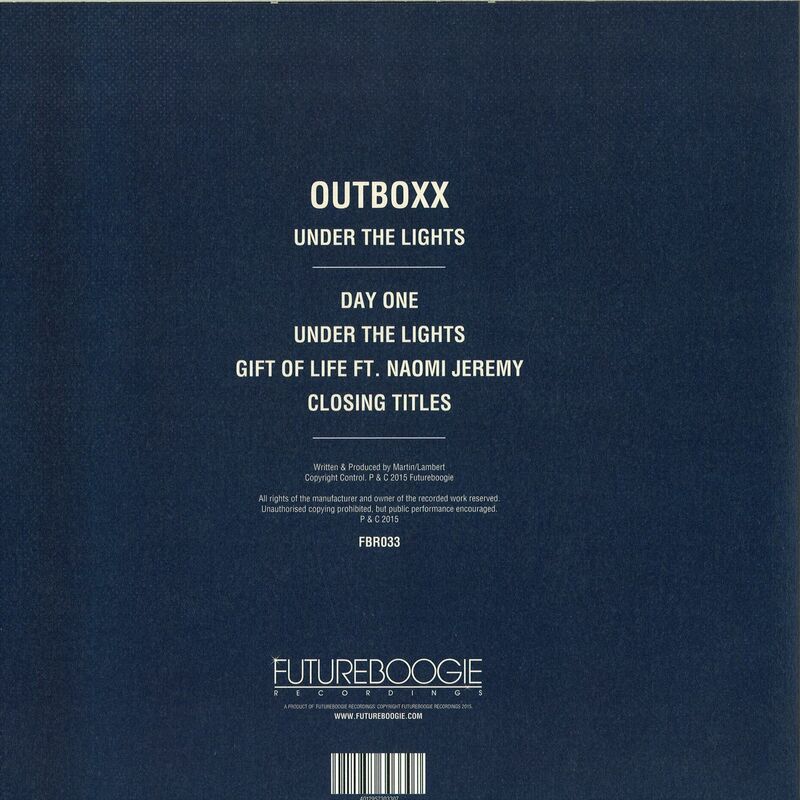 Back in 2013, Futureboogie released The Fade EP by Outboxx, a record that received critical acclaim from the who’s who of music press, helping to propel Outboxx on the upward trajectory they’ve managed to maintain since those early releases. Unsurprisingly, Futureboogie are delighted to get the pair back for more. Having developed their sound in the two years since, the pair has refined the raw ingredients of those records to show a combined maturity beyond their collective years. Previously the pair of producers (Matthew Lambert and Jake ‘Hodge’ Martin) have released music on respected independent imprints such as BRSTL, Idle Hands, Well Rounded Records and Local Talk; honing their analogue rich sound that touches on the hard edge of drum machine rhythms crafted by Hodge and the harmonic, jazz soaked embellishments from Lambert on Keys. ‘Day One’ opens with the sound of a string sample drifting behind warm drums to beautifully open up proceedings. As the track develops with an explosion of shuffling hi hats, the main hook enters with more than a nod to the classic Acid basslines of a 303, built to hypnotize dancers into the early hours with subtle simplicity. 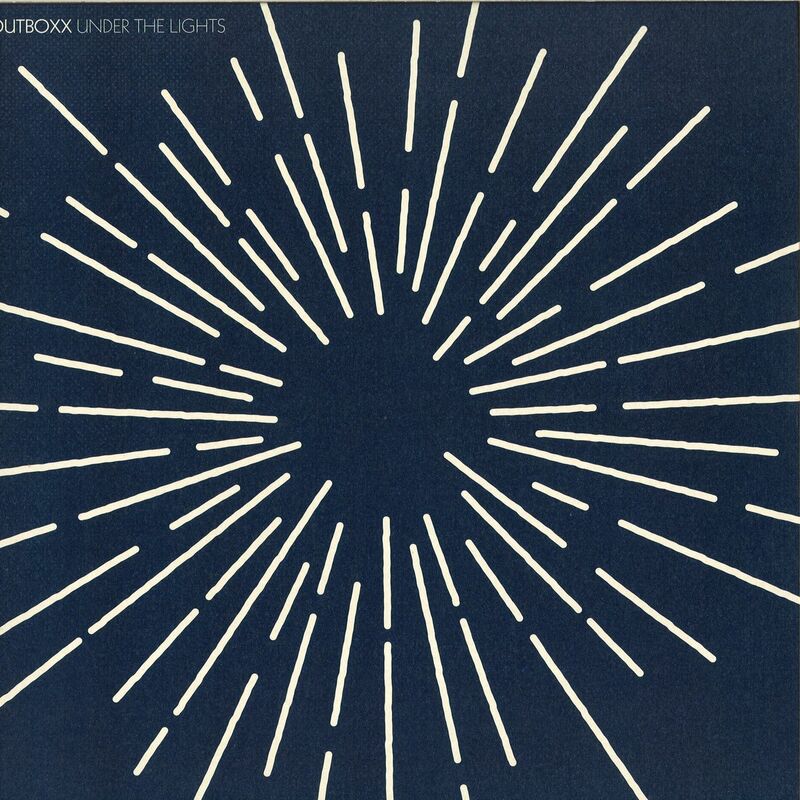 The EP’s title track ‘Under The Lights’ shows the pairs appreciation of Disco, with overdriven drums and a dotting bassline setting the feel. As the track develops, elements of Detroit enter the picture, with more string samples setting the key, and further allowing Lambert to contribute more of his signature Jazz licks as the track winds down to an unwanted close. ‘Gift of Life’ features the always-beautiful vocal contributions from long-term collaborator, Naomi Jeremy. Having featured on some of their most memorable releases to date, Jeremy’s vocals again add a complexity often found in Jazz, but with the drum machine funk of 90’s House; creating a sound that blurs the lines between sampling and original composition, uniquely, as only Outboxx can. The record ends on the appropriately named ‘Closing Titles’, a track seemingly built to allow Lambert the opportunity to show his prowess and mastery of melody and harmony. Creeping basslines and warm chords mix with looped drum machine rhythms to wind down the release elegantly, showing the pairs versatility and understanding of each other’s strengths.